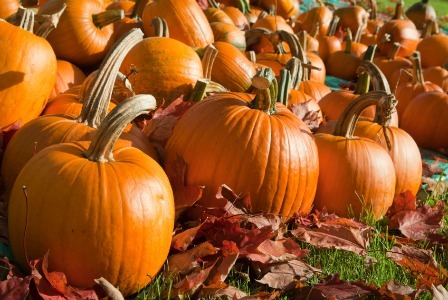 Pumpkins are chock full of nutrients that are good for pregnant bellies — and babies, too. So pack some nutrition into your fall desserts by piling on the pumpkin. Finally, something nutritious and delicious for moms-to-be. Pumpkins are full of fiber and vitamin A, and pumpkin seeds provide a healthy dose of zinc, which can help beef up immunity during pregnancy. Steamed or cooked pumpkin can even help alleviate abdominal cramps for pregnant women. So incorporate as much pumpkin into your menu as possible this fall. 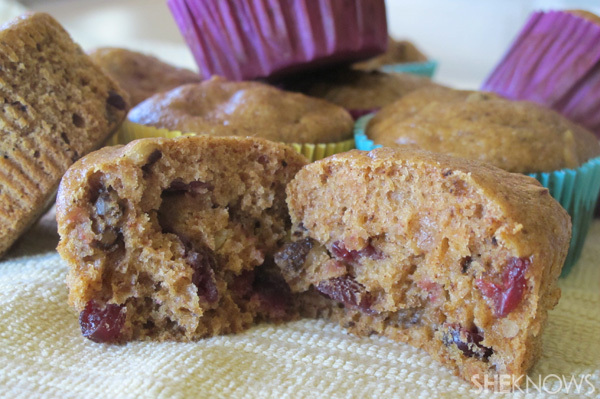 By using a white-wheat flour blend, applesauce instead of oil and a good helping of pumpkin puree, these muffins more healthy than naughty. They taste downright sinful, though. Coat a muffin pan with nonstick cooking spray or fill with paper muffin liners. In a large bowl combine flour, sugar, baking soda, salt and pumpkin pie spice. In a separate bowl combine pumpkin, beaten egg, applesauce and milk. Make a well in dry ingredients and add pumpkin mixture. Stir until combined and then fold in the chopped pomegranate Craisins and walnuts. Fill muffin cups 2/3 full. Bake for 22 to 25 minutes. 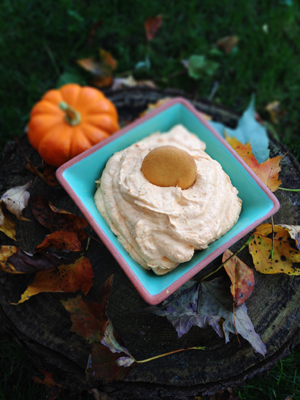 Use apples, graham crackers and vanilla wafers to scoop up this decadent and creamy pumpkin dip from Gast Family Recipes. Mix together pumpkin, vanilla pudding powder and spices. Fold in whipped cream and serve. These yummy blondies are a super-indulgent treat. But by adding some healthy pumpkin puree, you can justify them every once in a while! Preheat oven to 350 degrees. Coat a 9 by 13-inch baking pan with non-stick baking spray. In a medium bowl, whisk together flour, pie spice, baking soda and salt. Set aside. Cream butter and sugar with an electric mixer until smooth. Beat in egg and vanilla until combined. Mix in dry ingredients until just combined. Fold in 1 cup of the white chocolate chips. Sprinkle remaining white chocolate chips over the batter. Bake about 30 to 32 minutes or until edges begin to pull away from sides of pan and a toothpick inserted into the center comes out almost clean. Cool completely in pan before cutting and serving. Aside from dessert, there are plenty of ways to pack your pregnancy diet full of pumpkin. Start your morning off with a pumpkin smoothie, pumpkin oatmeal or pumpkin pancakes. Sprinkle roasted pumpkin seeds on salads or nosh on them for an afternoon snack. Enjoy a savory pumpkin pasta sauce over whole grain noodles by sautéing a few cloves of garlic and half an onion, then adding in pumpkin puree and a little bit of vegetable stock to desired thickness. Add savory spices like rosemary or sage to complete this dish.